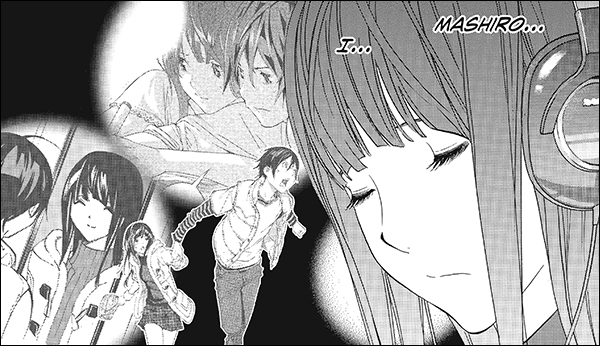 I think my first pick for favourite couple has to go to Mashiro and Miho in Bakuman. Their relationship lays the foundation for everything Mashiro and Takagi go on to do with their dreams to do with creating manga and it’s just a really sweet bond Miho and Mashiro have. It’s a relationship that isn’t always at the front of your mind because at the core of the series Bakuman is about the manga industry and working within it. I think the fact we never see too much of their relationship is also what makes it so pure and makes it work so well for the story though. We’re left with a more than satisfying ending and definitely aren’t left with the feeling of needing to have seen more of the two together. Definitely one of the best couples. 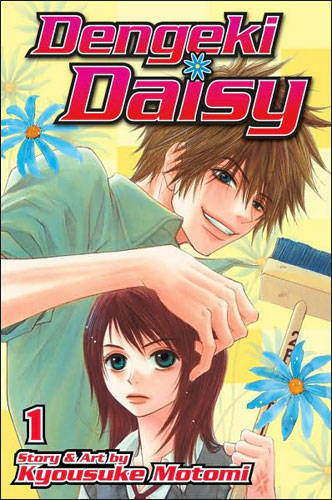 I was talking about Dengeki Daisy yesterday when I called Kurosaki one of my manga crushes and thinking about it I realised that the series gave me one of my favourite couples in Teru and Kurosaki. The two don’t look like they should work in the beginning but they build up a close bond and tease and joke about with one another relentlessly but still ultimately stay extremely close to one another. Teru is outspoken and won’t stand for doing nothing while being protected by Kurosaki, she’s her own person, but on the flip of the coin Kurosaki deeply needs Teru to keep him going. It’s an interesting dynamic but something I like a lot. Next up we have a slightly odd choice. I’ve picked Hiyori and Yushin from Hiyokoi. I’m not too sure why my mind went for this choice but I think it’s because I find Hiyori pretty cute and she goes through a lot in order to confess and get together with Yushin. She’s so short and cute that you can’t help but cheer for her as she gets closer to Yushin. On the flip of the coin I think I really like Yushin because he’s kind and genuine and will look after Hiyori no matter what. The two are pretty perfect together and I hope they stay together as long as the series continues. 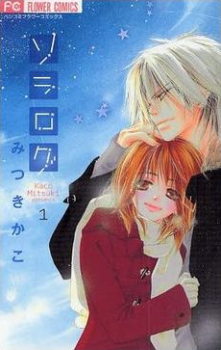 For my final pick I’ve gone for yet another slightly odd choice in Hikaru and Minato from Sora Log. At only four volumes long I got through the series surprisingly quickly originally and didn’t think it’d stand out in my memory for long but it does. Hikaru and Minato never go through any overblown dramatic moments during their story leaving us with a tale that feels real and leaving Hikaru and Minato as a stronger couple for it. I wish the series would be licensed for release as I’d snap it up really quickly just to relive this tale a few times more. 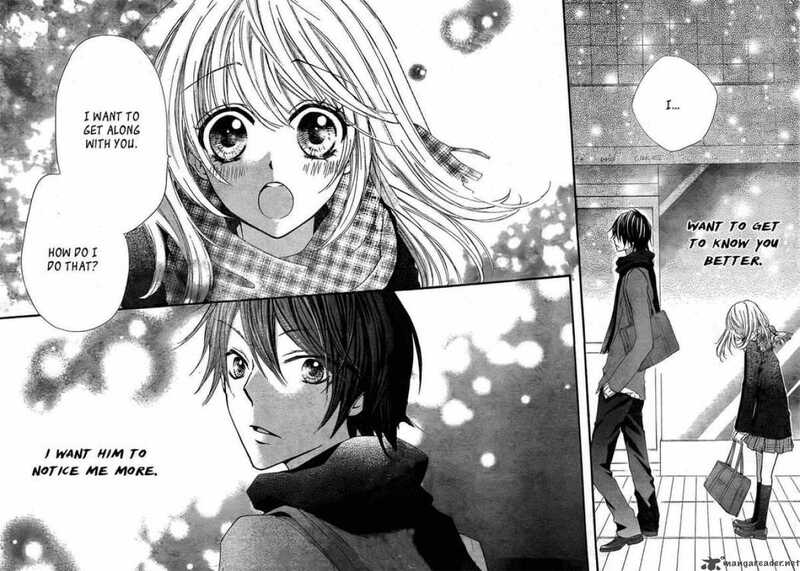 Hikaru and Minato are by no means perfect for one another – but they’re mature and talk through their differences like a lot more shojo characters should. That’s why they’re a favourite couple of mine. I’ve been thinking about this one a lot, and realized that I very much enjoy bickering love interests that don’t always get along. I feel it keeps things interesting, and awkward situations abound!! The other thing I realized is that I’m not certain whether my favourite love interests are OBVIOUS or necessarily official. Some examples include Soul and Maka from Soul Eater, Edward and Winry from Fullmetal Alchemist, Inuyasha and Kagome from Inuyasha — to name the main-stream ones. While most anyone can get the feeling that that was the direction the mangaka were going, none of these couples are necessarily focused in on ONLY FOR their love-relationship. So, the easiest way for me to answer this question would be to give a nod towards the mangaka that create some of my favourite couples or situations around couples. For example, I always enjoy Yuu Watase’s romantic focuses which include Miaka and Tamahome from Fushigi Yuugi, and Ceres and Toya from Ayashi no Ceres (to name the poster couple). I also love the relationships in Shizuru Seino’s comics such as “Power!” or “Love Attack”. Focusing in on actual couples.. I really enjoy Risa and Atsushi from Lovely Complex, for the characters’ quirks and interactions as well as how things do not line up immediately. I love reading character growth. Finally, I love Mitsuki and Takuto from Full Moon wo Sagashite. Their story is so heart wrenching and good! These stories have plots twists and turns and are not clear-cut simple fiction. I have the same issue regarding couples who aren’t officially romantically couples, too. Soul and Maka, for example, are also one of my top favourite pairings because they make such a fun, endearing, and excellent duo. While it’s nice that they already share a special bond surpassing friendship as weapon and meister, I couldn’t see either of them being romantically involved with anyone but each other. It just wouldn’t feel right. It’s always interesting for me when you write about manga characters that I have no prior knowledge of. It makes me want to know more about the source material because I’m intrigued to see why these characters mean so much to you. Such is certainly the case with Hiyokoi and Sora Log. If I remember I’ll need to ask you about them someday… As for your other two pairings, highly approve! It’s slim pickings for me with this question and the only true couple I could mention, meaning two characters that I actually know become a couple, is also Teru and Kurosaki from Dengeki Daisy. I’ve yet to see them get together by the point I’m at in the manga but I’m highly anticipating it!